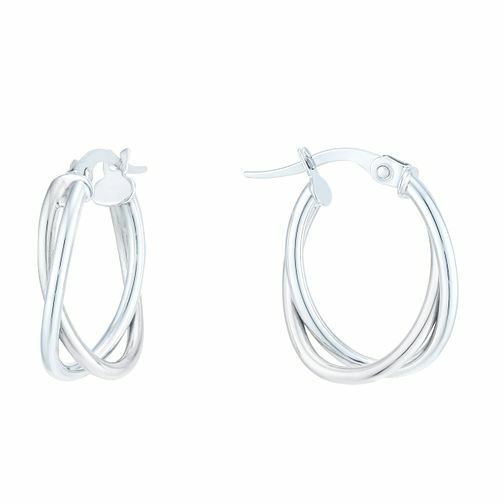 These elegant creole earrings are crafted in classic 9ct white gold in a double twist design. Wear with complementary white gold jewellery for a coordinated finish, or contrast with bright jewel tones for a contemporary colour clash. 9ct White Gold Double Twist Creole Earrings is rated 5.0 out of 5 by 1. Rated 5 out of 5 by Anonymous from Great looking at a decent price Very happy with these! Sometimes difficult to order items like this online but they are just like the photo and a good quality to boot.